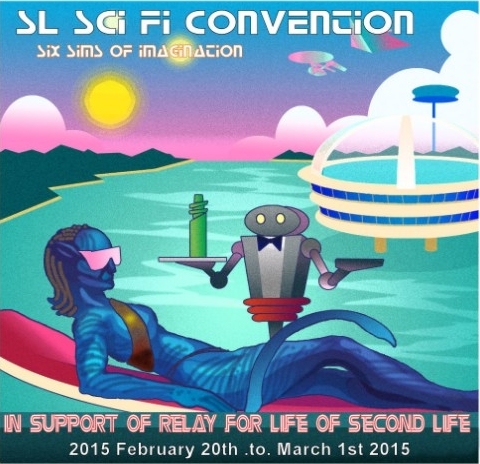 With an official opening ceremony slated for midday SLT on Friday, February 20th, 2015, the six regions of the 2015 Second Life Science-Fiction Convention, organised by the SL Sic-Fi Alliance, are now open and will remain docked in Second Life through until March 1st, 2015 inclusive. Pern Sound (Red Sector) – Named for the planet Pern, central to Anne McCaffrey’s Dragonriders mythology, and the third planet orbiting Rukbat. Risa (Orange Sector) – Named for the “interstellar vacation planet” in Star Trek, and also referred to as Epsilon Ceti B II. Fhloston Paradise (Purple Sector) – Named for the luxury cruise where The Fifth Element’s Corbin Dallas, together with the Fifth Element, Leeloo, must retrieve the first four elements. New Vegas (Blue Sector) – From Babylon 5, the Earth Alliance resort city on Mars which draws its name from Earth’s Las Vegas. Sihnon (Green Sector) – The third planet orbiting the White Sun, and one of the two major planets of the universe created by Joss Whedon for his television series Firefly. It is also the home of the person from whom I took my name: Inara Sierra 🙂 . Each sector has its own teleport hub (provided in the links above), allowing for quick and easy hopping between regions – although most people will likely want to explore on foot once they’ve arrived. However, do remember that, in a change from previous years, the 2015 convention doesn’t only take place on the ground – there are booths to be found overhead as well, out “in space”, adding to the sci-fi feel of activities . So keep your eye out for teleports and other means to go skyward to destinations (and don’t forget the Zocalo from Babylon 5 is under the waves of Pern Sound). One way of getting around is via the convention taxis, tours, and shuttles. The taxis are self-fly, can carry up to three people and can be rezzed at any of the taxi stations like the one I used in Pern Sound. I found a starting point for the dragon tours in Magrathea; I didn’t notice any others in my travels, but might have missed them. The shuttles offer a kind of convention auto-pilot “bus service”, ferrying people around (and over) the convention regions. When exploring the regions, one will find an interesting mix of merchants and role-play groups (see the exhibitor list for details) and, for those engaged in the scavenger hunt, quite possibly the stars you are looking for (so to speak). A programme of entertainment has been put together for the convention, starting with the aforementioned opening ceremony, which will take place at Merciless Ming’s. There will also be live entertainments, DJ, film screenings and more, with full details of all goings-on to be found via the convention’s Events Calendar. In addition, information givers located next to the major telehubs also provide a run-down of the current day’s events for those arriving in any of the regions, if they wish to find out what’s going on and when. 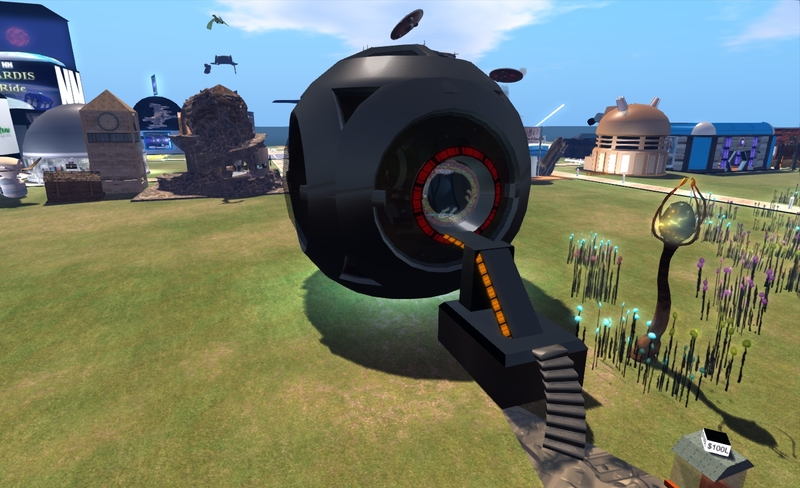 Whatever your interest in science-fiction, be sure to set your phaser on fun and head back to the future with a visit to the SL Sci-Fi convention, and as this is a Relay for Life event, keep an eye-out for RFL-related vendors and kiosks as you explore. Set phasers on fun: the 2015 SL Sci-Fi Convention is coming! 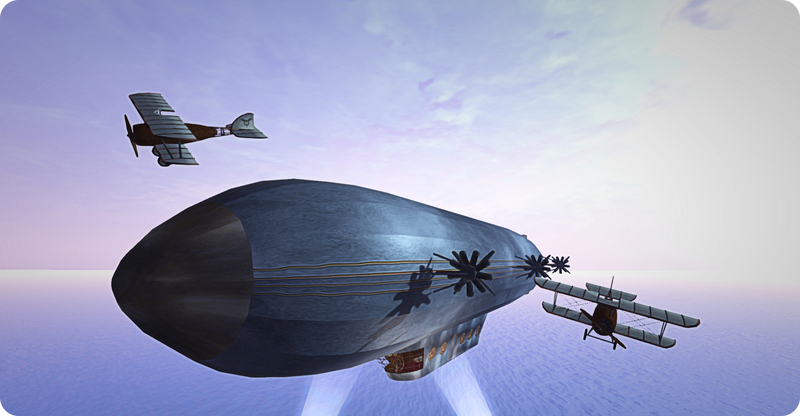 The 2015 SL Sci-Fi will be lifting-off on Friday, February 20th and will remain in orbit with hailing (and transporter) frequencies open through until Sunday, March 1st 2015, inclusive. 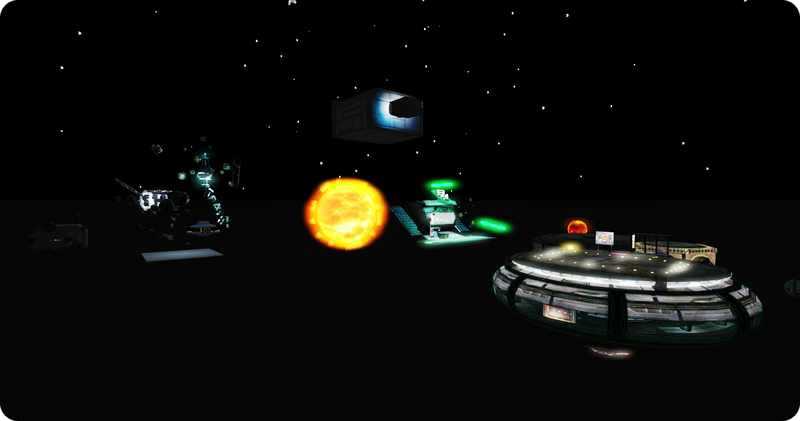 Now in it eighth year, this annual event in support of Relay for Life of Second Life, will be offering “six sims of imagination” for visitors to explore and enjoy, whether or not they are science-fiction fans. The theme for this year’s event is “sci-fi resorts”, which will see the ground level of the six regions landscaped to provide a range of resort-style environments from a coastal lagoon to high mountains. And for the first time, there will even be facilities in space, as vendors are given the opportunity to use booth areas placed at between 1000 metres and 1200 metres as well, or can have orbital skyboxes at 2000 metres. “A convention supplied Transport shuttle will fly around the participating exhibits, & convention amenities and décor will make it rival the ground for fun!” The organisers note. In the spirit of the theme, the organisers have drawn-up a short-list of potential names for each of the six regions for the convention, drawing on locations from a range of science-fiction films, series, comics and books (such as Pern Sound, from Anne McCaffrey’s Dragonriders books, Sihnon from Firefly, Wrigley’s Pleasure Planet, from the original Star Trek TV series, Fhloston Paradise from the %th element, and more – see the complete list for all of the names, and those interested are being asked to vote for the name they’d like to see used on each of the six regions. Vendor / merchant registrations are also open, and there are a variety of booths and package options available. If you’re interested in being a vendor, please visit the Booth Information Page. As well as vendors and merchants, the convention well feature a range of activities and entertainments across the 10 days it is open, including a scavenger hunt, an amusement park, live music, theatrical presentations and more. To keep up-to-date with planning for the conventions and key announcements, keep an eye on the SL Sci-Fi Convention website. Note this is a multi-page article, please use the page options at the very end of the piece to page bath and forth. 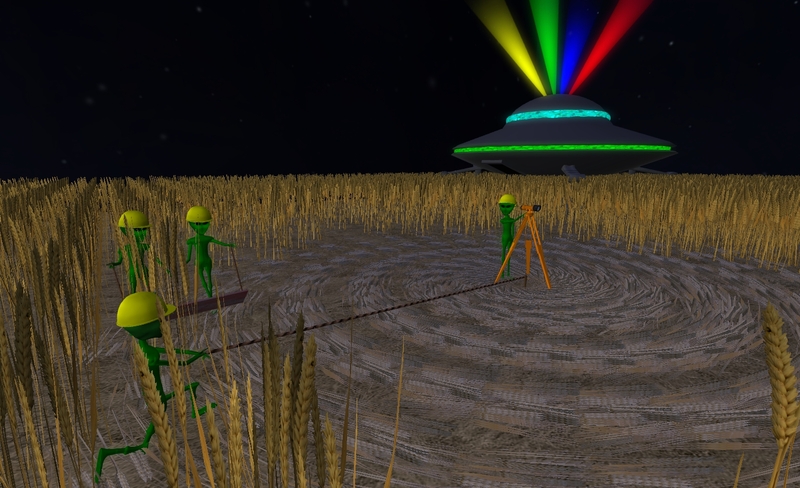 The fifth annual Second Life Science Fiction convention is well underway, having started on the 27th June and running through until Sunday July 1st. I’m a little late getting to it due to a number of reasons – including not receiving any PR material this year. However, given science-fiction does poke the geek in me, I hopped over to the regions ahead of the start of a busy weekend of events. 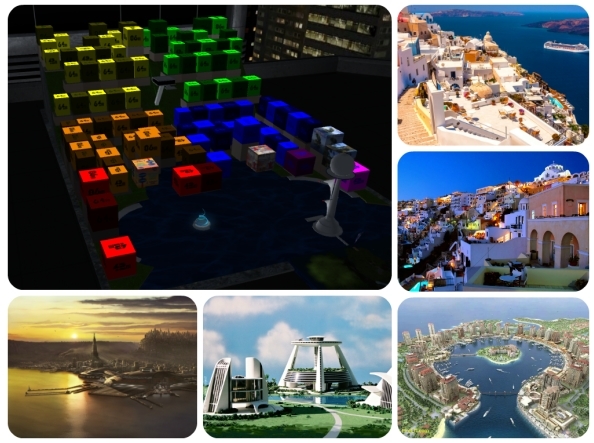 This year’s event covers six regions, and is again in aid of the American Cancer Society / RFL in SL, presenting a host of exhibits to tour showcasing SF in SL as well as running a series of live events. 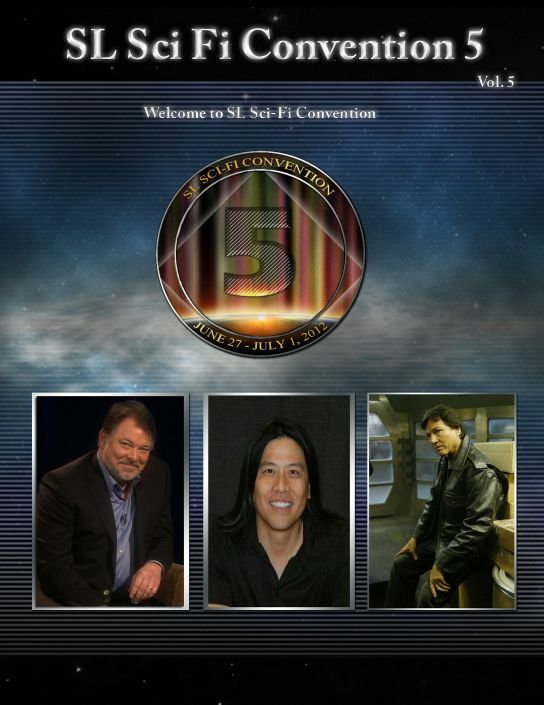 Chief among the live events are special appearance by Jonathan Frakes (William T. and Thomas Riker from Star Trek: the Next Generation and later ST incarnations) and Garrett Wang (Harry Kim from Star Trek Voyager), both of whom will be appearing over the weekend. Also putting in an appearance was Richard Hatch, the original Apollo from Battlestar Galactica and who also featured in the reimagined series as the manipulative revolutionary / terrorist Tom Zarek. Mr. Hatch was on stage on June 27th, just after the event opened, so I’m afraid I missed him in terms of getting the word out. Each of the six regions has its own arrival point, each of which has a wealth of information on the events – including links to convention guide (presented in PDF format & sadly lacking in URLs). The format of the guide will be instantly recognisable to anyone who has ever attended a Sci Fi convention in real life, which is a nice touch. However, if you are specifically interested in attending the presentations by Mr. Frakes and / or Mr. Wang, I would suggest you head for the North region’s teleport point. 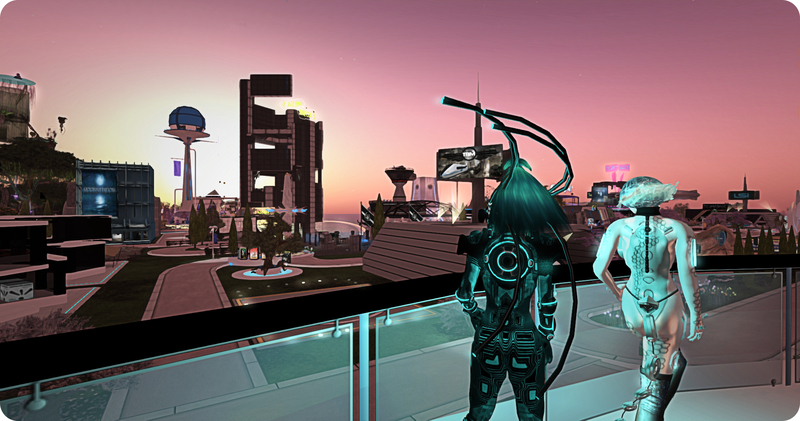 Details on the appearances by Mr. Frakes and Mr. Wang can be found just to the east of this, complete with a ticket booth, which links you to the SL Marketplace where you can purchase a ticket to attend either or both events, at a cost of L$100 per attending avatar. The venue for the guest speakers is the spherical Council Chamber which sites next to the ticket booth and promotional posters of the guests. Other main stage events will take place in the ground immediately outside the sphere, on the east side of the teleport arrivals area. The regions themselves are well-defined in terms of the ratio of open space to exhibits, helping to reduce overall lag. 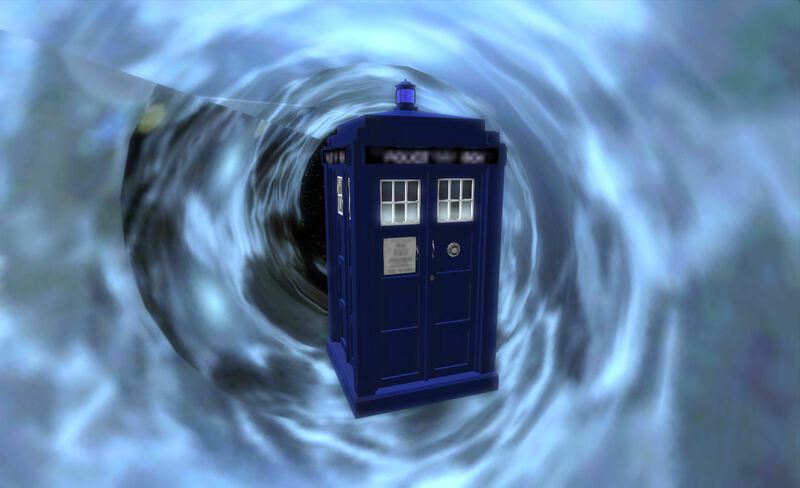 For those who visited SL9b, there are some familiar friends here – such as Novelli Nior’s TARDIS ride. If you didn’t get to enjoy this unlagged at SL9B, it’s immediately worth a visit here.